A new MicroSD card has been unveiled this week which has been designed to provide similar features to the popular Eye-Fi range of Wi-Fi cards. The new PQI Air microSD, has similar wireless sharing technology built in allowing you to easily transfer photographs and media from the card to other devices, without the need to connect any cables to your camera or smartphone. 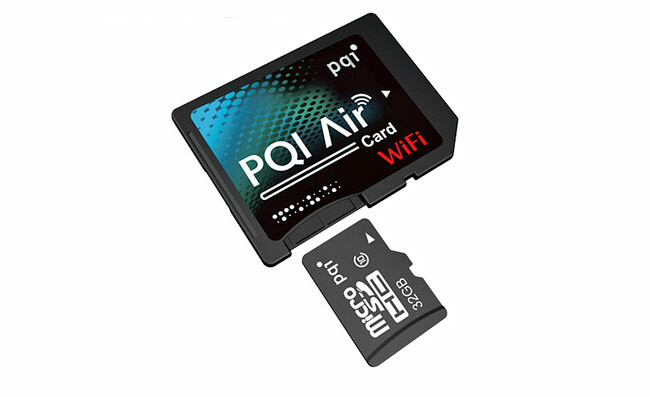 The new PQI Air microSD comes complete with its own companion application called AirCard+ which is now available to download from the iTunes App Store and Google Play for Android devices.